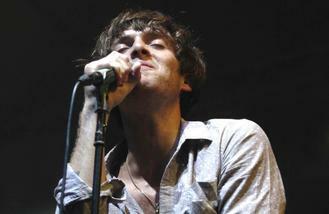 Paolo Nutini is to perform two shows for Edinburgh's Hogmanay. The 'New Shoes' hitmaker is to take to the stage at the 'Night Afore Concert with Paolo Nutini' at West Princes Street Gardens in the Scottish capital on December 30 and December 31, due to the demand for tickets. The 29-year-old Scottish singer found out that that the first show had sold out while in the desert and is "overwhelmed" that so many fans are keen to see him play. He said: "I was in the desert when I heard about the response to the first show. I was overwhelmed and am incredibly grateful for the support of all you great people. I was then asked if we would do a preceding show on the 30th as there could be others who never got tickets. I said I was up for it and I hope that we get to play to as many as we can that weekend." Paolo is looking forward to ringing in the New Year to celebrate the good things that have happened this year and to put to bed all of the "sh***" that has gone on in the world over the last 12 months. He's also teased there will be some support acts for the concerts announced "soon". He added: "It will be a time to make some music, have a dance and celebrate a lot the good that's been done this year and hopefully celebrate a lot of the sh*** being resigned to the past. Also, there will be more acts to be announced as soon as possible. Happy Daze. Can't wait." Justin Bieber is reportedly renting a London mansion and plans to split his time between the property and his Los Angeles home. ABBA are set to reunite - in virtual 3D form. The Vamps have taken musical inspiration from Justin Bieber. Frank Ocean cannot win a Grammy in February after missing the deadline to submit his album. Liam Payne has signed a U.S. deal with American label Republic Records. Rihanna joined Sir Paul McCartney on stage at Desert Trip on Saturday night (15.10.16). Beyoncé continued to perform at the TIDAL X: 1015 concert on Saturday (15.10.16) even after she started bleeding. Kings of Leon have announced the first leg of their WALLS tour. Tom Fletcher has teased he's working on "new music" that's "not band-related".